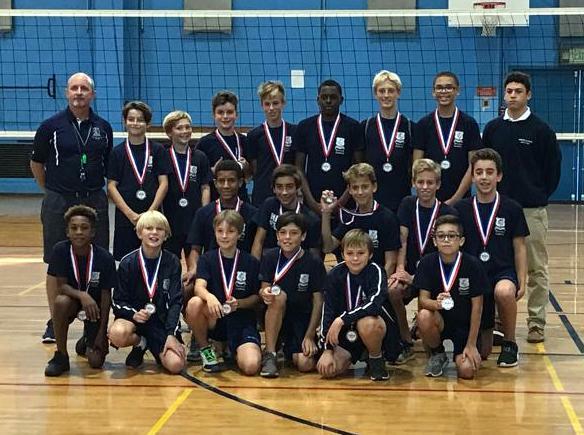 Warwick Academy Grizzlies defeated the Warwick Academy Kodiaks in the Bermuda School Sports Federation’s Middle School Boys Volleyball Tournament held inside the MSA Gymnasium. The Warwick Academy Grizzlies built an early lead and led throughout with a 25-19 win. The Warwick Academy Grizzlies defeated MSA Blues 25-17 in their Semi-Final, while the Warwick Academy Kodiaks defeated Saltus Red 25-17 in the other Semi-Final.